Inmatech’s technologies have been developed and patented by our company founders, who came together through the University of Michigan in Ann Arbor. In collaboration, they combine their expertise in materials, electrochemistry, product development, prototyping, and entrepreneurship. Levi’s leadership at Inmatech focuses on the design and development of nanostructured materials for use, as well as electrodes for energy storage devices. As an entrepreneur, he co-founded TJ Technologies (acquired by A123, a leading producer of lithium ion batteries) and owns intellectual property in the field. 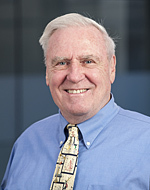 Currently at the University of Michigan, he is the Richard E. Balzhiser Professor of Chemical Engineering, a Professor of Mechanical Engineering and the Director of the Hydrogen Energy Technology Laboratory. 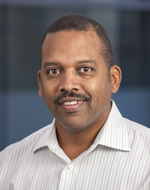 He presently serves as member of the DoE Hydrogen Technology Advisory Committee and AIChE Chemical Engineering Technology Operating Council, among others. At the University of Delaware, he earned his B.ChE and M.S.E. degrees in Chemical Engineering and Nuclear Engineering. At the University of Michigan, he earned his Ph.D. in Chemical Engineering. He is a recipient of multiple awards including National Science Foundation Presidential Young Investigator Award, Carbide Innovation Recognition Award and Dow Chemical Good Teaching Award. Les brings financial, operations and business development experience to Inmatech. He currently is the senior executive responsible for mobilizing Inmatech to develop and commercialize super capacitors for emerging power and energy markets. Mr. Alexander over the last twenty-five years has held executive positions both domestically and internationally in finance and accounting, business development, operations and procurement. Mr. Alexander is a retired Commander, U.S. Naval Logistics Officer who served in the Persian Gulf War. He has managed large military budgets and programs for aircraft carriers and military bases. He served as Chief Operating Officer of T/J Technologies a lithium battery start up that was sold to A123 Systems in 2006. He retain his position at A123 and post A123’s successful IPO, Mr. Alexander became the General Manager of A123 Government Solutions Group. This group managed over $500M in government programs for A123 Systems. Mr. Alexander recently joined Inmatech after two years as General Manager of Navitas Advanced Solutions Group. Mr. Alexander earned a B.A. in Economics (Finance / Management) from University of Pittsburgh and M.S. in Management (Government Contracting) Naval Postgraduate School. Saemin brings to Inmatech over a decade of experience in the formulation, characterization and evaluation of advanced catalyst and electrocatalytic systems for fuel processing and energy storage systems. Currently he is the principal investigator for government funded projects from the National Science Foundation and United States Department of Agriculture. 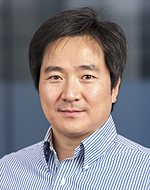 He also led the development program for novel nanostructured electrodes for high energy density Li-ion batteries, funded under the UM-Fraunhofer Alternative Energy Technologies for Transportation program. Previously, he worked as an engineering manager at Visteon Corporation. He led the development of fuel processors for residential applications, and thermal and fuel systems for advanced powertrain systems, including hybrids and fuel cell vehicles for global automotive OEMs. At the Yonsei University in Seoul, Korea, he received both a B.S. and M.S. in Chemical Engineering. At the University of Michigan, he earned a Ph.D. in Chemical Engineering. Paul leads Inmatech’s scientific advisory board and brings decades of expertise to the company’s technical research. Currently, Paul is an emeritus professor of chemistry and molecular science at the University of Michigan. He has published over 120 reviewed scientific papers and patents and has had research support from many governmental and industrial sources. He was Associate Dean for Research in the College of Literature Science & Arts for ten years and was administratively involved in new facility planning, labor contract negotiations, and research budget management. Stefan brings entrepreneurial experience to Inmatech. He also shares his broad management and business experience, as well as a strong multi-disciplinary technical background with expertise in optics, physics, electrical and mechanical engineering. Previously, he co-founded three other companies, and served as a director at Fraunhofer USA — Center for Laser Technology, where he developed and commercialized new production technologies with light. 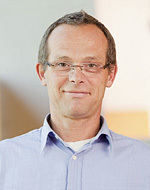 He previously held positions as Chief Technology Officer at Visotek and as R&D Director at Jenoptik in Jena, Germany. He has acquired and managed a variety of federal and state grants in the area of advanced manufacturing technologies for solar cells, batteries, and high brightness diode lasers. From Technical University of Munich, he earned a diploma in physics. He earned Ph.D. in electrical engineering from the Technical University of Berlin. He holds 49 patents and has more than 150 published works.